I’ve been through some stuff in my life, just like everyone else has. Things happen to us or around us that change us, change the way we see the world, and the way we think about things. Travelling changed me, marriage changed me, loss changed me. Anxiety did as well, and disappointment. 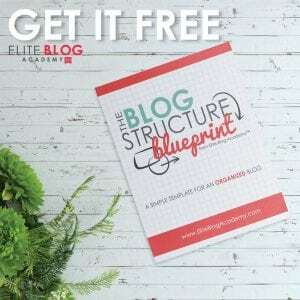 Even blogging changed me. Learning more about who God is and what He thinks about me has certainly changed me. Most of these things brought subtle, slow changes that became evident over time. I didn’t even notice them at first. 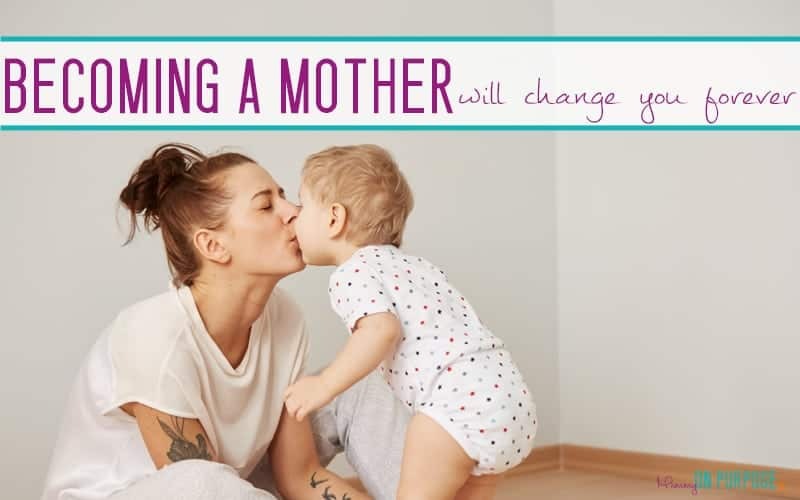 But becoming a mother – becoming a mother has changed me so completely and so drastically that I couldn’t help but notice. Some of these things are surprising, and some of them are scary. Some of them are probably funny… none of them are meant to imply that I’ve lost myself – if anything, I’m more found than ever. I didn’t think of myself as a selfish person before my son was born. I bet most of us, if we think about it, would have to admit that at the heart of MOST of our choices is our own self. Even in our other relationships, I bet 90% of our actions are dictated by our concern for ourselves. Not so, after you’re a mother. Your little person takes the first place in your heart – before yourself. And that’s a wonderful thing. It has made me fearful. This is NOT such a wonderful thing. I’ve always had anxiety, and I’ve always been a little on the fearful side – so maybe I’m more prone – but having a baby throws the true lack of control that we have on our world into the harsh light of reality. There is only so much we can do to protect our babies from the world, and that is terrifying. Becoming a mother has meant learning to live with new kinds of fear. I actually came through pregnancy pretty unscathed – no stretchmarks, no remarkable weight gain… with all my clothes on, I LOOK similar to my pre-pregnancy self. But oh my, things are different without clothes on. Even my face looks older, from lack of sleep (and probably also from all that fear that I have now). I will never have a pre-baby body again. But that’s ok. I would happily trade that body for this baby, over and over again. I grew a freaking AMAZING human INSIDE my body, and then – even though I hardly believe it now – this body brought that little human into the world. To top that off, my body sustained that amazing little human through breastfeeding – for NINE months. I don’t just think of my body in terms of weight or shape anymore. It’s not just something to dress and it’s worth to me isn’t dependent on how it looks. I have a powerful and awesome body – even if it’s not perfect anymore. Things that were important before are far less important now. It’s funny how that works. I don’t prioritize things the same way at all. I used to REALLY prioritize holidays. My week or two on the beach every year was at the top of my important things list. This year, I don’t even really care that we won’t get a holiday in. It’s more important to me that we spend our holiday time as a family, and that means staying home – because a baby at an all inclusive resort just doesn’t make sense. HEALTH, for example, is a priority now. I’ve never wanted to be unhealthy (who does? ), but NOW I’m motivated to make sure I stay healthy – in ways I wasn’t before. It’s easier to turn down a mars bar or submit to a medical. I’ve always been PRETTY conscious about what I’m spending my money on, but now I find it easier to think in the long term. I’m also aware that we have more expenses, and that if I want to be able to provide my baby with a good life, I need to reign in my personal spending. I like my husband, I liked him before the baby was born. But seeing how awesome he is as a dad is really great for our relationship. I forgive him more quickly for his shortcomings (that we all have) because I am just so grateful that my kid has an a good dad. Good dads seem to be in short supply nowadays. I have new appreciation for him and for our relationship. I also want to continue to WORK on our relationship, because suddenly, modeling a good relationship is important. I am acutely aware that our relationship will affect our babe’s relationships. Actually it’s given me new perspectives on everything. The day you leave the hospital with a baby, the whole world changes. NOTHING is the same as it was when you go in. I am totally blessed by wonderful parents. I know not everyone is so lucky. And I’ve always appreciated them, loved them. But before I had my own kid I never understood the depth of their love for me, or what they went through to raise me… or even what they’ve sacrificed for me over the years. I don’t think we CAN understand this stuff before we have children of our own. I love the new dimensions of my relationship with my mom and dad. But it’s ok! I’m good with that. It’s boring in a good way. It’s TOTALLY OK that I’d rather say home with my baby than put on my heels and head to the club. I LOVE that I stop to consider how truly safe something might be – before I rush right into it. For the most part, the changes have been positive. 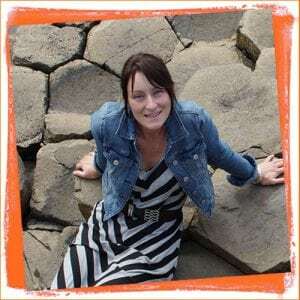 I do hope as time goes on I’ll get a little less fearful, and I also hope that as I work on my pelvic floor I can maybe restore my bladder control to what it was before – but either way, I wouldn’t go back to pre-baby me for the world! Thank you for this! And have you tried seeing a pelvic floor physical therapist yet? JUST started… I will have to update you guys on that. It’s amazing how much we change after becoming a mother. I didn’t realize how much I liked being in control of what I do and when I do it, until I became a mom and couldn’t. My body changed, too, I still can’t fit into my pre-pregnancy jeans (and I’m not sure I ever will, I think my hips widened). At first, I was too tired to care, then I had to learn to accept and appreciate all that my body was capable of doing- it did bring two babies into this world in the past 5 and a half years. I can relate so well to all these changes! Especially to the becoming healthier part, I’ve actually turned into a bit of a health nut trying to help my girls (and myself) eat healthy! We even watch health documentaries together. I currently don’t feel like I’ll ever fit into anything but sweatpants – lol, I’m a few weeks post baby # 2 and the changes are much MORE drastic this time ! Thank you for this. 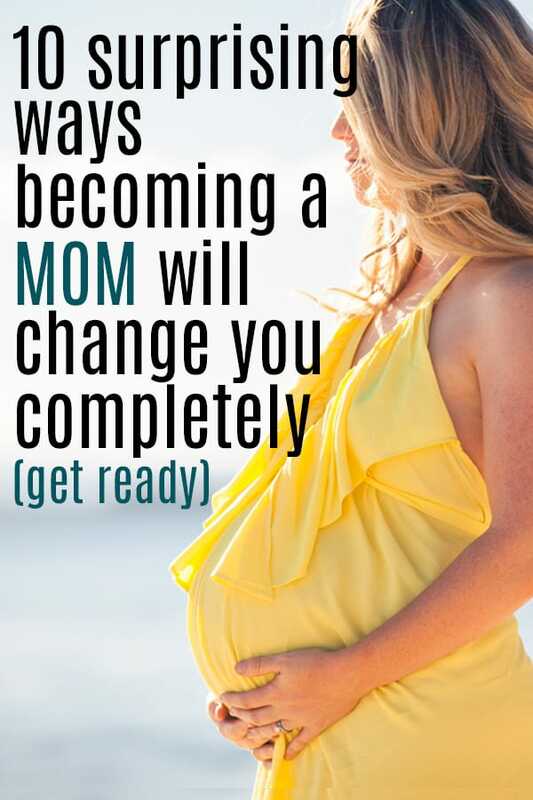 However, it feels like I did the total opposite when I became a mother. I was less weight, and according to my husband, I didn’t care about much or over react as much as I do now. It is now to a point, I am letting him do what he wants and I just have to live with it. But I can’t do anything without the kids or he get mad. We dont sleep in the same room. I am at the point, I just want to change me for me. No more soft heart. I know that sounds bad, but until I know how to change me back, I can’t fix me. HI Suzzanne – I’m sorry you feel that way!! 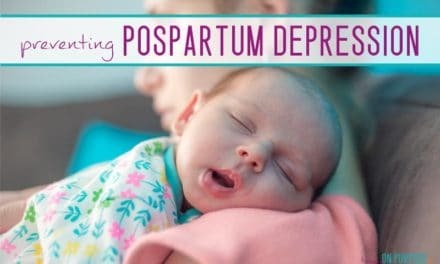 I think you should probably see a doctor and tell them these things – it could be postpartum depression, which needs attention!